BTW: Have you checked out Rudy's YouTube Channel? Subscribe there to never miss a NEW FREE energy tool you can grab & use! Rudy's amazing work that you can own & use to help yourself & your animals...yum! Rudy, I am so happy to be a woo woo-er : it allows me to receive your amazing energetic beauty. Thank you for expressing your gifts worldwide. Thank you for being sooo smart. Thank you for bringing much light into this world. TIME TO STOP EATING BEANS & RAMEN AND PROSPER YOUR PRACTICE! ​DAILY FROM RUDY RIGHT UP TO & INCLUDING THE EVENT!!! FREE DOWNLOAD: ABC Reset - Totally FREE for you to enjoy! PLUS A BONUS Clearing Tool NOT included in the original call!!! This is the DEEP call which made folks around the world pass out!!! Really! 90+ Minutes with Rudy & his Healer chum Wendy Wolosoff-Hayes teaching practice-building. TOTALLY FREE with no catches!!! Learn, enjoy & please share with chums! Bent Circumstances - a NEW WAY to work with Chakras! CAN ALSO BE USED SILENTLY! FREE ENERGYWORK ROUND is up on the page as a gift! 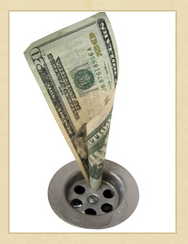 Allow Your Money Blocks To Dissolve So Cash Can Flow!!! Use, enjoy & please share it with your chums! The most important skill to enhance all areas of your life! Love really CAN conquer all. AND RECEIVE THE ENMESHMENT PROCESSES FOR YOURSELF DURING THE WORKSHOP! Getting your sleep & rest? Mystical Woo Woo for when you've been slimed! Feedback from around the globe has been just astonishing! the energetics of AcuPoints. 93 Packed Minutes of Neat-o Stuff! PLUS the first round of EnergyWork is FREE for you to sample & enjoy! directly from Rudy Hunter for people & animals? Now you can! specific practice-building advice & strategies directly from Rudy Hunter. ​REGISTRATION FOR THE ADVANCED PRACTITIONER TRAINING IS NOW CLOSED. Golden Clearing Private Sessions with Rudy Hunter are NOW OPEN & VERY LIMITED!!!! WOW--SOLD OUT IN UNDER 8 HOURS!!! Yikes! Sessions usually open [ever-so-briefly] to book in the Spring & Fall of the year. Registration is now closed until 2018. Five transformational rounds for all your "hearts". It's been called some of "Rudy's best work" to date by many folks! A new tool for you and your animal chums! Actually BETTER THAN A PRIVATE SESSION with Rudy! An energetic tool used for 20+ years by Rudy & his private clients! Learn how to build a thriving ethical practice that will please & prosper you! An EnergyWorkHorse new tool to help you get & stay unblocked. A wonderful collection of 5 short processes on 4 mp3's you'll love! An energetic bodywork session with Rudy to help your body move better with less pain & tension. We're SOLD OUT FOR JUNE and underway! We're SOLD OUT FOR MAY and underway! SOLD OUT in 2 day flat! Mid-year GC's will re-open to book through year end. The Money Secrets Call was EPIC and has a ton of energy work processes embedded in it, tools for changing your vibration, tips on manifesting and much more. You'll want to enjoy the energetics & all the packed information on the call many times--especially if you're in the midst of a money struggle. It's underpriced at just $27.00--Catherine and I did that deliberately so everyone who want to could benefit. It's nearly 2 hours long and has tons of tools for you & any money struggle you have going on. If you know someone who you'd like to buy an awesome gift for who could really use these tools, this might just be the perfect thing. ALL SESSIONS FOR 2015 SOLD OUT COMPLETELY IN 5 DAYS FLAT! Mmmm...Just Like A Choice Of Delicious Cupcakes! on your phone, ipod, iPad...even your iCupcake! Rudy also offers remarkable FREE EnergyWork to support you & your animals. It's available with no strings [no kidding!] free of charge, 24 hours a day, every day of the year. Please feel free to use them as much as you like & please tell your friends about them. And please share with your friends. P.S. Are you signed up for updates on Rudy Hunter's AshWorkers Training? Neat-o insight & tools using this powerful healing modality for people & animals. If you've ever wanted to learn healing work from Rudy, this is the way!